5.1 What is a chemical peel? 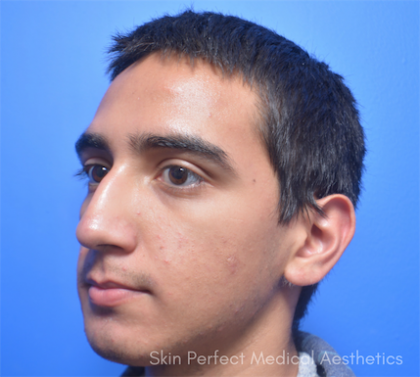 5.2 How are chemical peels performed? 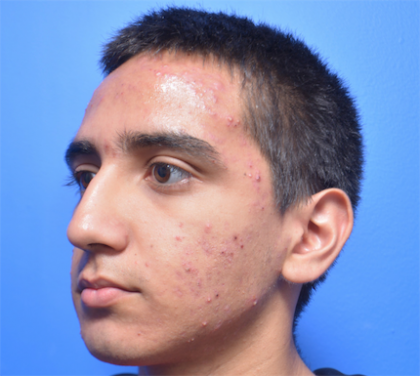 5.3 What will my skin feel like after a chemical peel? 5.4 How many peels will I need? 5.5 How long do the results last? 5.6 How long after a chemical peel before I can return to normal activities? 5.7 What should I do after my peel? 5.8 What exactly is a silkpeel? 5.10 How long does the procedure take? 5.11 Do you have a specific topical for my skin condition? 5.12 What will my skin look like after a treatment? 5.13 What do I need to do after treatment? 5.14 How long does it take to see results? 5.15 Will there be any pain or discomfort? We offer a differing array of chemicals peels suited to treat most skin types and for many different skin issues. Chemical peels (also known as chemical resurfacing) are chemical treatments to produce an improved appearance of the face. They are used for the treatment of photoaging (from sun damage), wrinkles, scarring, acne, precancerous lesions, and discoloration (or dyschromia). Light chemical peels are great for rejuvenation and mild pigmentation issues where as more aggressive peels can treat more serious skin conditions like melasma, wrinkles, scarring, and acne. Our trained medical staff can recommend and guide you on which peel is right for you. Our chemical peels are one of the safest, yet strongest peels available and they help restore your skin’s healthy glow and youthful appearance. 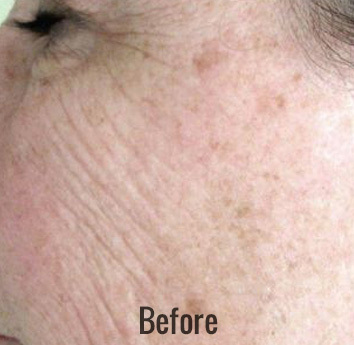 The peels work by removing the very superficial layers of your skin thus diminishing any abnormal facial pigmentation. Mild exfoliation may occur for 3-5 days offering little to no downtime. Our peels also stimulate superficial collagen production leading to improved skin texture and reduction of fine lines and wrinkles, large pores, and acne scars. Very effective as an anti-aging skin care regimen. For some peels, it can take up to 4 days after the patient finishes peeling for the skin to return to its normal PH and to see the final effects. The skin will look luminous and glowing. The patient will feel refreshed with slightly tighter skin. 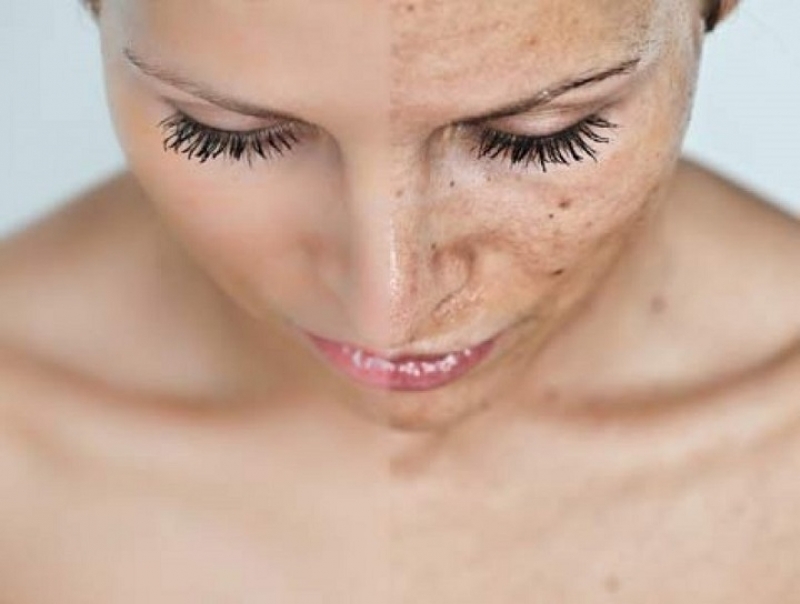 Unwanted pigmentation can be cleared, depending on the amount and type of damage. Texture and quality of the skin will be improved with an overall more youthful appearance. There are many different kinds of peels and each one is performed differently. In general, chemical peels usually begin with vigorous cleansing of the skin. Very light peels only penetrate the dead skin cells that sit atop the epidermis and produce almost no injury. Sometimes, this level of peel is called “exfoliation”. 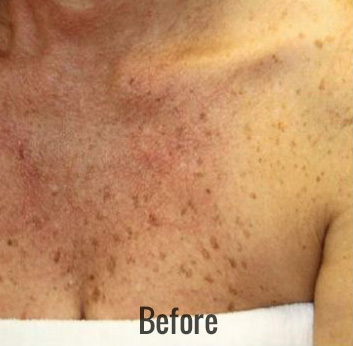 Light peels injure the entire epidermis and stimulate the regeneration of a new epidermis. The state of your skin after a peel depends on what kind of peel you had. The superficial peels have limited effects, the medium peels may cause some redness and the deeper peels may require weeks to recover. The superficial peels are usually done several times over the course of several months. With good sun protection, results can last months to years, depending on the depth of the peel. Generally, the deeper peels have a more long lasting effect. You may be more sensitive to sun exposure. Take extra precautions by using sunscreen with spf 20 or higher. We recommend limiting sun exposure for at least one week after your peel. Avoid strenuous exercise for 2-3 days, the perspiration caused may irritate the skin. Do not scrub your face when washing, gently cleanse. Avoid “helping the skin to peel”. You can control the peeling with a light moisturizer. Do not have any other facial treatment for at least one week after treatment. What exactly is a silkpeel? SilkPeel is a new, breakthrough procedure that combines precision exfoliation with Dermalinfusion to address patient-specific skin conditions. Operating on a closed-loop vacuum system, the SilkPeel’s diamond treatment head exfoliates the skin while delivering a topical dermaceutical at a controlled intensity. The SilkPeel stimulates new cell growth and addresses your specific skin condition, giving your skin the revitalization you want. 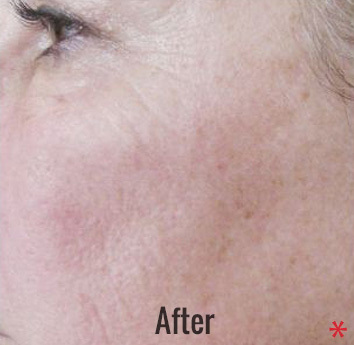 SilkPeel is a simple, non-invasive procedure performed by a fully trained physician or aesthetician. 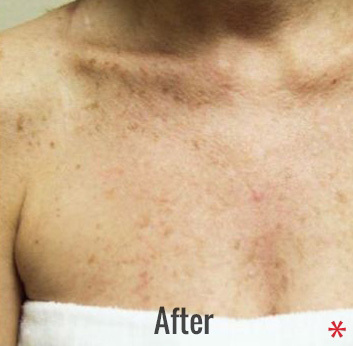 The risks of traditional microdermabrasion are eliminated by the SilkPeel’s crystal-free technology and patients experience little to no discomfort. Treatments typically last about 20 minutes. Plus, because the SilkPeel delivers a dermaceutical during treatment, your post-treatment protocol is quick and easy. SilkPeel addresses the most common skin conditions with topicals for hydrating, skin lightening, and acne. Your skin will have a warm, pinkish glow that will usually fade in about 30 minutes, leaving your skin looking healthy and renewed.Will I miss work or have to alter my social schedule? SilkPeel can easily be performed on your lunch hour so you can return immediately to your normal activities.